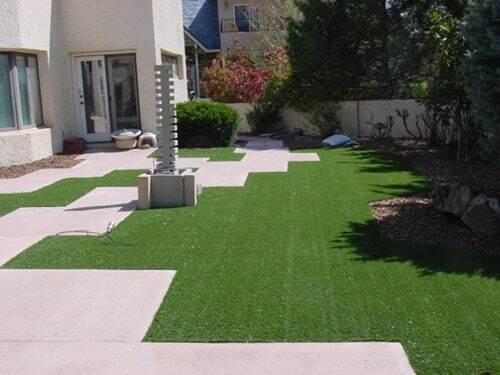 Artificial turf isn’t just for mini golf and football stadiums anymore! It has become the go-to product for homeowners suffering through drought or trying to reduce their water consumption. This isn’t your mother’s turf either. Today’s turf comes in more natural looking colors and in varied lengths to suit any purpose. It can be tough to tell the difference between artificial turf and the natural varieties. Although, you can get “smurf turf” if you like to walk on the wild side! LawnPop recently installed 2,500 square feet synthetic grass for a home in Georgetown, TX. The client has a pool that overlooks the rest of their landscape and decided that artificial turf would be the best looking compliment. Maintenance costs are lower, since there is no watering, cutting, feeding, weed-killing, etc. Debris should be blown off occasionally using a leaf blower. Turf drains well and cleans easily, so pet droppings are easy to take care of. It’s also less susceptible to digging and other animal damage. Trees and artificial turf get along well. Add a tree ring to protect the roots and allow water into the ground at the base. Shade won’t kill the grass under the tree. Turf costs about twice as much as a traditional grass lawn with sprinklers ($8-12 per square foot). 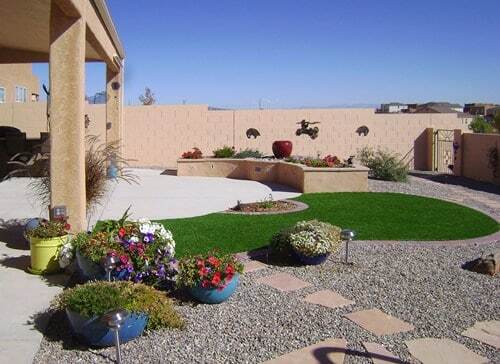 Consider using artificial turf just in smaller, high traffic areas. The materials used to make turf heat up when exposed to sunlight, which can hurt pet paws and human feet. It is best used in shaded areas. Although turf is getting better at looking and feeling like natural grass, it just isn’t. Order samples from multiple suppliers to see which ones you like best.